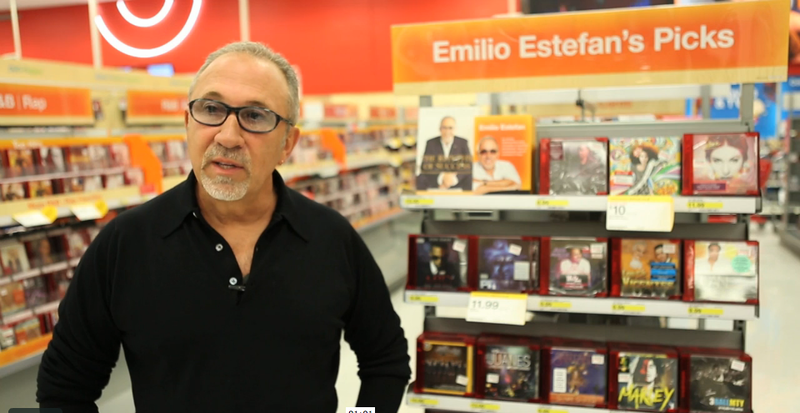 One of the greatest things about being famous and all, is that you get to pick stuff for major retailers, which is exactly what Emilio Estefan has been doing for Target Stores nationwide. I’m not 100% sure but it looks to me his picks include several of his own books, which is totally cool, if you asked me. In fact, I am going to contact Target and propose them a “Laura Martínez Picks” section for their Target Bodega… I promise, readers, that I will be picking my only one one of my books. Click here to watch a video of Emilio talk about his picks. This entry was posted in Cuban-Americans in Miami, Latin celebrities, Marketing & Advertising and tagged Emilio Esfefan, Target Stores. Bookmark the permalink.